In previous blog posts, we have discussed turmeric supplements and powders. But another (and sometimes more fun) way to get the same minerals and magic nutrients curcumin offers is to use its mother spice, turmeric in a number of interesting, exotic and delicious recipes. 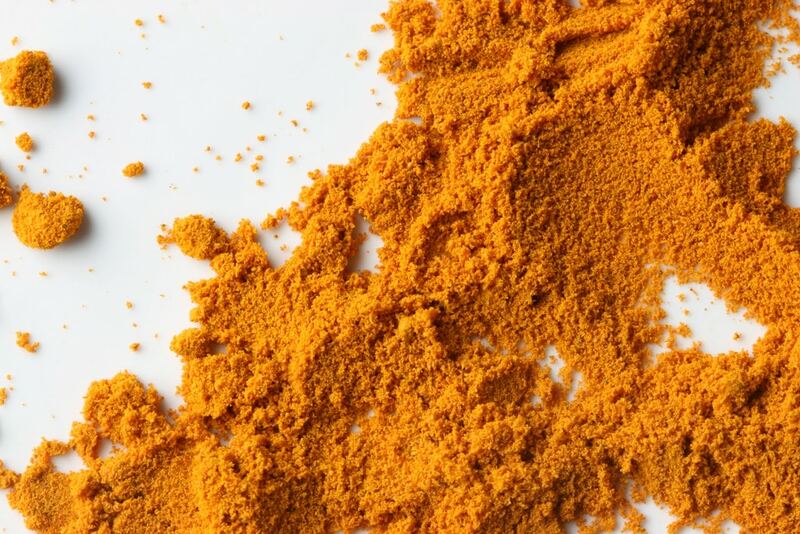 Here, Nutent Therapeutics explores different recipes that incorporate our signature, turmeric. For this refreshing beverage, whisk milk, turmeric, palm sugar, ginger, lemon juice, cardamom and salt in a small bowl until sugar and salt have dissolved; let sit 5 minutes to let flavors meld. Strain through a fine-mesh sieve into a measuring cup, pressing on solids to extract juices; discard solids. Fill a glass with ice. Pour latte over, serve with lemon wedge and enjoy! This recipe may sound somewhat involved, but its delicious taste makes it totally worth the effort and different steps. To make the yogurt sauce, simply combine yogurt, garlic, lemon zest and lemon juice in a medium bowl. Fold in cucumber and season with fine sea salt and pepper. For the carrot salad, toast cumin seeds in a small dry skillet over medium heat, about 1 minute. Add turmeric for the last 15–20 seconds and toast until fragrant. Combine toasted spices, carrot, cilantro, oil and 1 Tbsp. lemon juice in a medium bowl. Toss and season with fine sea salt, pepper and lemon juice. After this is accomplished, season salmon with fine sea salt and pepper. Heat 1 Tbsp. neutral oil in a large ovenproof skillet over medium-high. Then, cook the salmon, skin side down, undisturbed, until salmon skin is crisped and browned, 3–4 minutes. Gently turn fillets and cook until salmon is just opaque at the center, 1–2 minutes for medium rare. Divide fillets among plates, skin side up and serve with cucumber-yogurt sauce and carrot salad. Drizzle with oil and sprinkle with flaky sea salt. Voila, you have a healthy, delightful meal! Curry is a classic vessel for our favorite spice, turmeric. To start this rendition, pulse shallot, garlic and ginger in a food processor to finely chop. Heat oil in a large saucepan over medium. Add shallot mixture and cook, stirring often, until golden brown, about 4 minutes. Add curry paste and turmeric; cook, stirring, until paste is darkened in color and mixture starts to stick to pan, about 3 minutes. Add tomatoes, breaking up with your hands, then juices. Cook, stirring often and scraping up browned bits, until tomatoes start to break down and stick to pot, about 5 minutes. Then, stir in coconut milk and season with salt. Simmer, stirring occasionally to prevent sticking, until mixture is slightly thickened and flavors meld, 8–10 minutes. Add vegetables and pour in enough water to cover. Bring to a simmer and cook, stirring occasionally, until vegetables are crisp-tender, 8–10 minutes. Next, season fish all over with salt and nestle into curry (add a little more water if it’s thick). Return to a simmer and cook just until fish is cooked through, about 5 minutes. 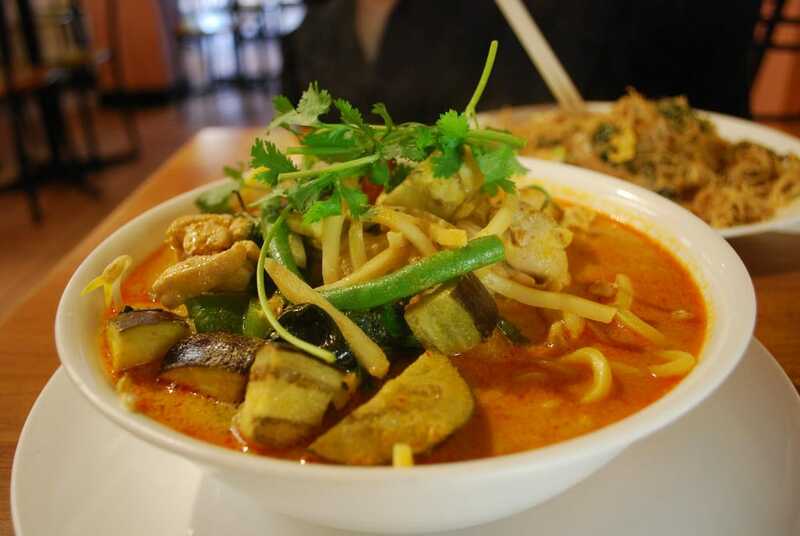 Lastly, spoon curry over rice noodles and top with cilantro and a squeeze of lime. previousWhat Do I Need to Know About Turmeric Supplements?